Trainer Dan Sullivan revealed a soft spot for Truly Discreet (left) after the mare’s Caulfield win. Trainer Dan O’Sullivan has a soft spot for Truly Discreet who added to her record with a fast-closing win in the Next Payments Handicap at Caulfield. Truly Discreet is a daughter of She’s Discreet who provided O’Sullivan with his first stakes winner when successful in the 1999 Lightning Stakes in Adelaide. Ridden by Michael Poy, Truly Discreet was backed from $7.50 to $6 before scoring a long-neck win from $3.90 favourite Ocean Deep with Temple Of Bel ($7.50) in third place. Like She’s Discreet, Truly Discreet is raced by the same ownership group, including David Peacock who has bred, and raced, a number of “Discreet” horses. “It’s been a tremendous family the Discreet family, and a relation sold during the week in Sydney for $1.15 million,” O’Sullivan said. “It’s good to get another win with this filly. 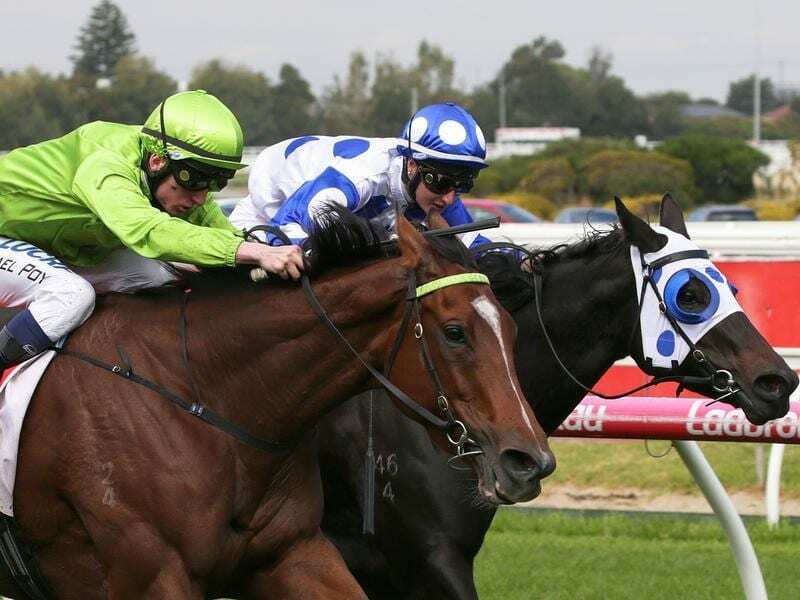 O’Sullivan has picked out the VOBIS Gold Distaff (1400m) at Caulfield on April 27 for Truly Discreet’s next start before the mare heads to Adelaide. “She got black-type when placed in the Bendigo Guineas last year, but I’d like to get a stakes win with her,” O’Sullivan said.